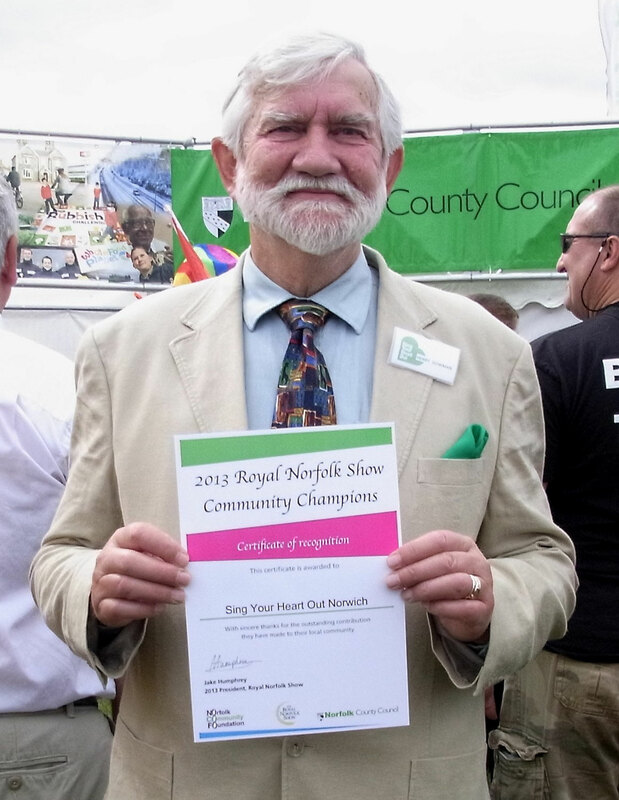 Norfolk County Council recognised the hard work and dedication of Community Champions across the county in a special ceremony at the 2013 Royal Norfolk Show on Thursday 27 June. SYHO were invited to join the Parade of Community Champions for our work in the community. Picture shows Henry Gowman, from our Norwich SYHO committe with the certificate he recieved from Jake Humphrey, President of the Royal Norfolk Agricultural Association. Henry then joined the Parade of Community Champions in the main show ring.